Interactive Optical Illusions - Hybrid Images. 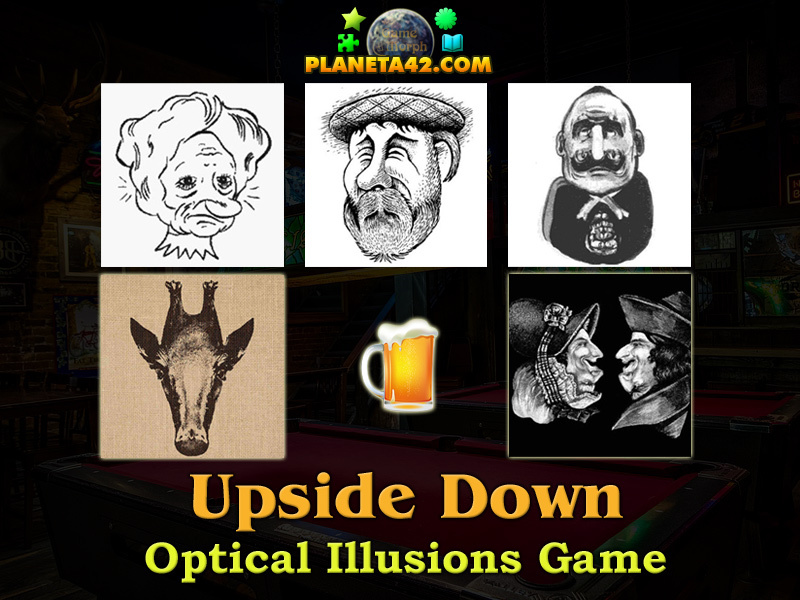 "Upside Down" is a free online psychology game to explore and study optical illusions of same images roatetd upside down. Drink a beer to meet new faces in the bar. Fun educational psychology game, suitable for online lessons and interactive classes. How to play Upside Down Game. 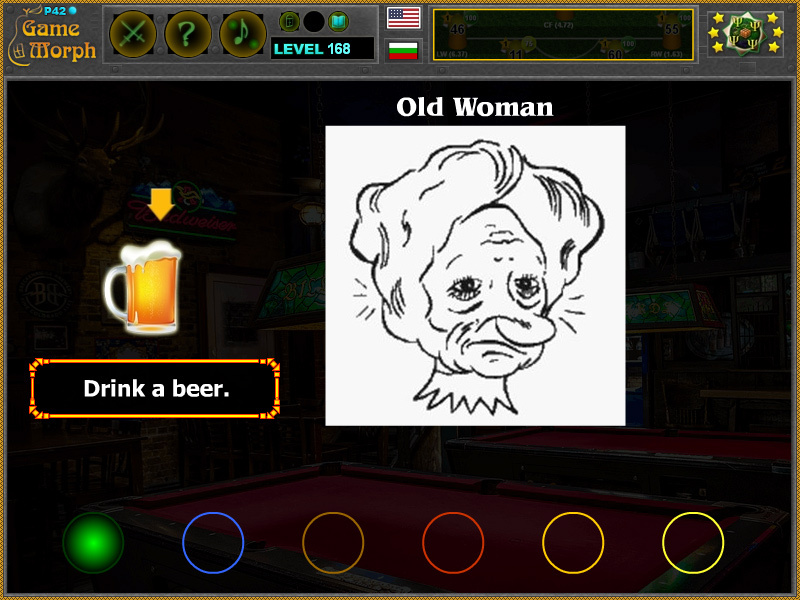 You enter in the bar and see an old woman. Click on the beer ale to drink and rotate the image. Click the beer a fe more times and you see a princess! Continue drinking the beer to see more people and pets in the bar. Know 4 upside down illusions and get +1 Knowledge Level. A hybrid image is an image that is perceived in different geometrical positions, or an image that is perceived in one of two different ways, depending on viewing distance, based on the way humans process visual input. Labels: Psychology Games , Optical Illusions , Mind Games , Knowledge Games , Free Online Games.